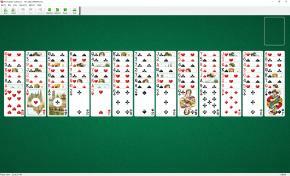 Mrs Mop Solitaire uses 104 cards (2 decks). You have 13 tableau piles with 8 cards per pile. To build 8 sequences down in suit within the tableaus (each running from King to Ace). Each completed sequence is discarded from the tableau automatically. The top cards of tableau piles are available to play. You may build tableau piles down regardless of suit, ending at the Ace. You cannot build a King on an Ace. One card at a time can be moved from pile to pile. 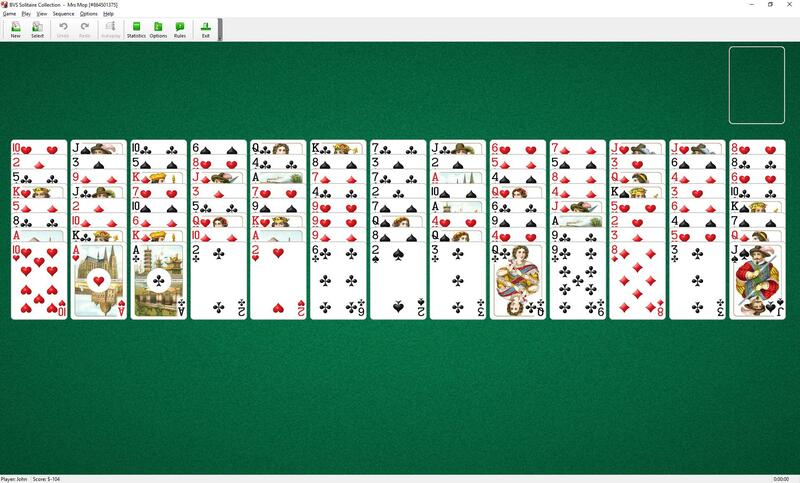 Groups of cards in sequence downwards in suit may be moved as a unit. When any tableaus are empty you can fill the space with any card or group of cards.